In my paper I will focus on two works: the untitled, unofficial album from Łódź (Litzmannstadt) Ghetto (1943) by Arie Ben Menachem and Mendel Grossman and on "To my Friends the Jews" (1945-1947) series of collages by Władysław Strzemiński in an attempt to question the general paradigm of modern art history in Poland. Art in Poland is historized as "post-war" or "after 1945". Socialist realism (1949-1955) is treated as its traumatic moment. The attention of modern art histories in Poland is rarely given to the 1939-1945 period, and when it is - it focuses on art and artists facing World War II and the German occupation rather than the Holocaust. In art history narrations from the 1970s and '80s the Shoah is absent and in more contemporary art histories either it does not have a central place but is merely a distant point of reference, or it is relegated to the sphere of specialized studies. And yet the Shoah forms the very nucleus of Polish culture. It impacted on existential, ideological and artistic decisions, positions and attitudes in a conscious and unconscious way, impinging on what was possible and not possible to think, to feel and to represent. It also determined what problems were excluded and eclipsed or relegated to the sphere of metaphor. Recently the number of studies of individual artists and works pertaining to the Holocaust in Poland has grown and my paper owes very much to this expanding field of knowledge. However, art history in Poland still lacks the general reorganization and in-depth critique such as that presented by Grzegorz Niziołek in the field of theater history which, in treating the event of Shoah as its main focus, exposed the exclusions and limitations of the history of culture in Poland, destabilizing its identity and looking for alternative models of narration. However, there were the studies of the researchers from the Polish Center for Holocaust Research in Warsaw whose work on Polish complicity in the Holocaust made me conscious of the burning need to adapt the effects of their research to the reflection on art history in Poland, which should cause its radical reorganization. "Day history of Poles, saturated with poisoning martyrological clichés, will not weaken until the nocturnal history is revealed" wrote Joanna Tokarska-Bakir, and Elżbieta Janicka concluded: "the obstacle in critical analysis and working through the past on the social scale is not the lack of knowledge 'on the nocturnal history', but the system of intellectual and moral organization of that knowledge". As Andrzej Turowski stated, due to the context and logic of the totalitarian power system - none of the artworks could be innocent. I would like to shift this statement a little bit. From my point of view, perhaps it is not only the sphere of overwhelming authoritarian ideology that stripped the artworks of their innocence (autonomy), but a much deeper and shattering experience which I connect to the "night of Polish consciousness" - to the Shoah. In my larger project which I provisionally call affective art history, I look for an alternative chronology and alternative histories of art history in Poland, using the general framework of affect theories such as guilt, shame, fear, despair, joy, regret, mourning, etc. My aim is to de-nationalize and to de-traumatize art history in Poland, since victimization and traumatization of art and artists by the communist power system is a dominant narration in art history in Poland today. I perceive it as a vicarious narration, erasing responsibility and dangerously equating different types of victims and their experiences. The framework of affect studies returns the question of responsibility and agency which I find crucial, considering the Holocaust and post-Holocaust experiences and knowledge in Poland. My aim is to position the event of the Holocaust, its fringes and aftereffects, in the very heart of art history in Poland, viewed from the various subject positions. I consider this - taking my personal, geopolitical location – as its most vital task. What I refer to is not the simple operation of adding Jewish artists and questions on identity to the structures of art history in Poland; nor do I claim the appropriation of Holocaust art by the episteme of my discipline in its local edition. What I call for is a shifting of the Holocaust from the margins of specialized studies to the very center of art history in Poland and thus - to engage a different conceptual frame and radical rethinking of the art history field: to change its chronology, its structure, paradigms, values and categories. First of all, modern art in Poland shouldn't be treated as a postwar phenomenon since this position erases its most essential problems and artistic works. Art history in Poland must find its initial moments, its new beginning; an alternate narration in the "nocturnal history", in the "heart of the darkness", "the sticky spot of crime". Raoul Hillberg proposed the well known triad of victims, perpetrators and bystanders. Jan Gross states, that this third element of the Hillberg triad is especially misleading since it contains both those who helped victims (e.g. Righteous Among the Nations) and those who helped perpetrators (e.g. blackmailers). In place of bystanders, Gross proposes the category of beneficiaries and facilitators (after Mary Fulbrook) on the side of European states facing the Holocaust; Elżbieta Janicka introduced the very interesting category of participating and initiated observers, describing the position of the majority of Polish society in relation to the Holocaust. These positions should be reconsidered also in the case of the artists. "...Violence changes the geometry of space of interpersonal relations", writes Gross, "... [it] obliges people and institutions, who are witnessing it, to engage, and more specifically to counter it... each human being existing in the space of violence is subjected to such obligation and in order not to engage he has to take an adequate decision. In other words, in the case of the Shoah, being "next to", being indifferent, not engaged etc. is a position which requires justification". I would like to apply these remarks to the critical rethinking of art history in Poland. The questions posed by Gross - "what have you done and what haven't you done in relation to Holocaust?" – bearing in mind that not acting also had its consequences – should, in my opinion, be central to the field of art and culture in Poland. Thus, in considering the Holocaust and art in Poland, I have in mind both the complex spectrum of visual works of the Jewish victims, as well as the relation to the Shoah of the Polish observers. What interests me is the Shoah, its fringes (Polish complicity in the Holocaust) and the long-lasting aftereffects (i.e. the impossibility to represent; the limitations of representation; indifference to the Shoah; physical absence of the artist caused by death or emigration). In this paper I will examine two artworks constructed from two very different vantage points: the victim/the witness of the Holocaust (Arie Ben Menachem, Mendel Grossman) and the affective observer (Władysław Strzemiński). All of them were located in Łódź during World War II: Ben Menachem and Grossman were confined in the Łódź Ghetto, and Strzemiński lived on the other side of the ghetto fence. In considering these two works as potential new beginnings for Polish art history, I would like to propose questions regarding their material features, the subjective positions of their authors, their existential risks and historical tasks, vectors of historical time involved in the narration produced by these pieces, as well as their affective power. My question is what would happen if I would treat these two works as a founding event for art history in Poland? What kind of critical possibilities would open up? The Album from the Łódź Ghetto consists of 18 collages in which the artists depicted pain, suffering and death, as well as hope and the constellation of human inter-relations (such as subordination and obedience, but also interdependence, togetherness, solidarity and disobedience) of Jews imprisoned in the ghetto. As Agata Pietroń points out, the album was conceived in the Łódź Ghetto in the autumn or early winter of 1943. The original album was lost and we are only familiar with black and white photocopies. The photos integrated into the collage were taken by Mendel Grossman. Arie Ben Menachem was responsible for the montage and collage composition. As Agata Pietroń notes, Mendel Grossman (1913-1945) was a practicing photographer and a draftsman before the war and one of the official photographers working for the Statistics Department (Urząd Statystyczny) in the Łódź Ghetto where, from 1941, photography for private use was forbidden. However, Grossman also secretly documented life in the ghetto. Arie Ben Menachem (Arie Princ, 1922-2006) did not have an artistic education; before the war he finished Jewish Craftsmanship School in Łódź. In the ghetto he worked in the Strow Shoes Department. He also belonged to the Hazit Dor Bnei Midbar youth organization and co-edited the (manually written) “Kol Ha'hazit" newspaper. He assisted Mendel Grossman in documenting the victims of Wielka Szpera in September 1942. Arie Ben Menachem and Mendel Grossman probably met through Ruzka Grossman, Mendel's sister. Arie Ben Menachem took the album with him when he was deported to Auschwitz in 1944. In Auschwitz the Album was confiscated, but not lost. Its fragments appeared after the war with annotation of the P.W.O.K (Committee for the Assistance of Concentration Camp Prisoners). Arie Ben Menachem was transported from Auschwitz to the Goerlitz, Oranienburg, Gross-Rosen and Dachau concentration camps. He survived. After the war he immigrated to Palestine and died in Israel in 2006. Mendel Grossman died during the death march from Koenigs Wusterhausen in 1945. As the catalogue states, the blue pages of the album were produced in the Paper Department of the ghetto. On each card one or several photos were glued, accompanied by texts in Polish or Yiddish. Watercolor drawings and patches of coloured paper enriched the composition. Most of the photos were taken for official reasons, but some were taken secretly and unofficially for private use. The conception of the album and the production of the album itself were an act of resistance: the authors photographed and used photos against the ban of the authorities, producing a narrative depiction that could easily provoke harsh punishment. We may presume that the work on the album required the involvement of a number of other people. Working on this album was also a way of abolishing fear and alienation, and it established relations. The album was produced in the context of official ghetto albums, which were designed to praise the high quality of products made in the ghetto, highlight the good work and efficiency of the ghetto inmates, and positively portray the ghetto officials. 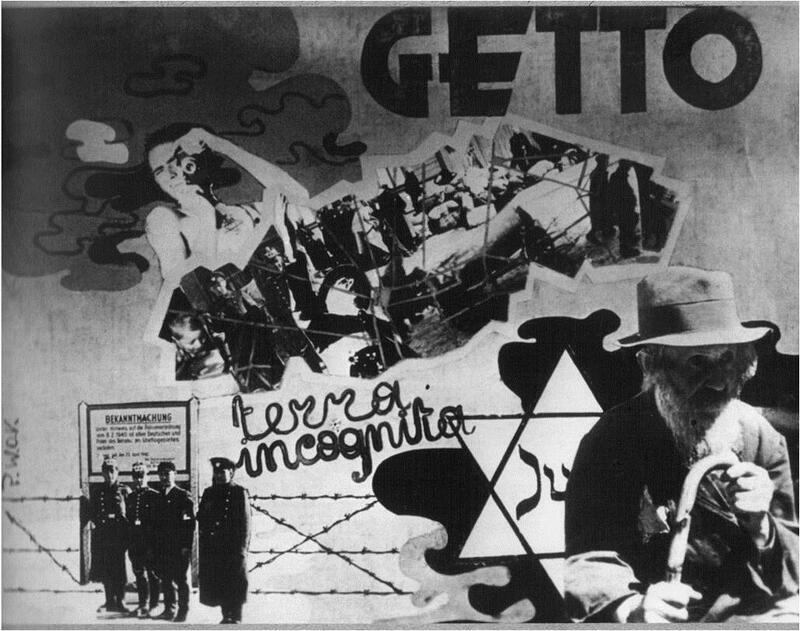 Through the montage and contrasting juxtapositions of text and image, Ben Menachem and Grossman used irony to construct a powerful indictment of the authorities holding power in the ghetto - Nazis and high ranking ghetto officials. The album highlights their crimes, promises, decisions and the deathly consequences of their actions. On the other hand, with great force and empathy the album shows the humiliation, suffering, pain and death of children, adults and elders. The first 16 cards are dedicated to famine, death, disease, so called "transmigrations" to the death camps, uncertainty, fear, loss and despair. The album documents such tragic, dramatic events as Wielka Szpera (General Curfew) from September 1942, when all people over 60, the ill, those unable to work, and all children under 10 years old were deported to the Chełmno death camp and murdered. However, the album of Ben Menachem and Grossman is not limited to documenting the traumatic realities of the ghetto. The last two cards are annotated: "And despite all this..." ("A mimo wszystko..."), "...We will survive!" ("...Przetrwamy!"). The first card depicts togetherness and friendship: young people dance in groups, learn together, and dream of Eretz Israel. The youth are colleagues of Arie Ben Menachem, members of the Hazit Dor Bnei Midbar and Hazit Hanoar Hazioni youth movements. On the last card we see an almost archetypical couple: photos of Arie Ben Menachem and Sara Chęcińska. They look beyond the picture frame, into the future. These last two cards, showing couples or groups of people, convey collectivity and solidarity of people in suffering. The authors portrayed the phenomena of social subordination, but also of community and subjective autonomy. The album, in its focus on crimes, death and suffering, caused a spectrum of affects: from traumatic shock, anguish, through rage to hope. This “movement of intensities”, affects – named and unnamed – is vital itself, since it brings vitality: life in the midst of the horizon of death and petrification. The album produces disillusionment; however, Mendel Grossman and Arie Ben Menachem also built a horizon of hope. "Hope", as Victor Crapanzano writes, "shares the same direction as expectation – toward the future-present. It penetrates further into the future than expectation (attente). It is more ample, more full of promise". Crapanzano, who differentiates between active and paralyzing hope, emphasizes the therapeutic dimension of active hope which, as he states, is a space of desire in expectation. "Hope and desire are characteristic of that zone of experienced time that Eugene Minkowski calls the 'mediate future.' It lies between the zone of the immediate future, characterized by expectation and activity, and the zone of the remote future, characterized by prayer and ethical action". Active hope is like an awaking dream, it links subjects with the possibility of individual and collective survival. Hope, which becomes the promise, moves away from the horizon of death and broadly opens the future in one's self. The temporality of the album has three directions. It is focused on documenting the traumatic "now" of the ghetto, of life becoming death, of everyday, common struggle. It also commemorates all those who perished, who were murdered or who were transported in an unknown direction, restoring their identity and dignity. The Litzmannstadt Ghetto album, creating the horizon of hope and survival, also opens a dimension of the future. Thus it creates the memory of the past, documents the present time of the ghetto and calls forth the imagination of the future time. The album's aim was to represent the experience of death and suffering, not to cause despair, but to provoke feeling, sensation and protest. It represented the fragility of humanity, but also the faith in the power of testimony and human bonds. From outside the Łódź Ghetto perimeter, well known avant-garde Polish artist Władysław Strzemiński (1893-1952) observed the Holocaust close up. He returned to Łódź in May 1940, together with his family. Although by then the ghetto was hermetically sealed, quarantined and isolated from the city, it was visually accessible – it could be penetrated with the eye. 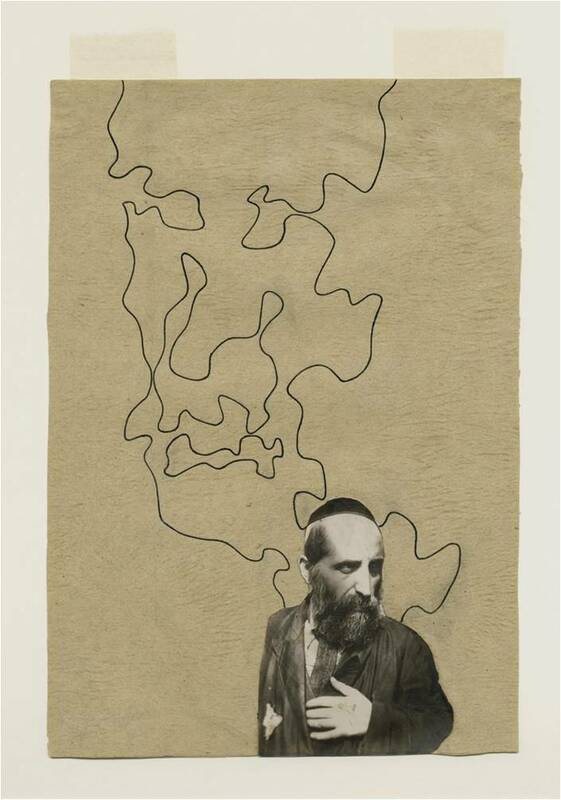 Strzemiński's series of 10 collages "To my Friends the Jews" was conceived between May 1945 and February 1947. The ten collages consist of photography from ghettos and death camps, Strzemiński's drawings, and expressionist commentaries on the verso. Various types of white or greenish-grey paper were used for the ground of the collages. On the paper support one may see the lines drawn by the pencil which probably enabled, in the very preliminary stage, the composition of the forms on the paper ground. The photographs in some cases are cut out and overlap the drawings. Some of them we may recognize since they are now iconic representations of the Holocaust, while some of them are still an enigma. Strzemiński's position as observer of the Łódź Ghetto was a complex one. His pre-war students, colleagues and friends were inside the ghetto, including Pinchas Szwarc, Maurycy Trębacz and Józef Kowner. To avoid danger (for example deportation to the camp), Strzemiński, and his wife Katarzyna Kobro signed the so-called Russian list. Although the Strzemińskis never availed themselves of the privileges to which signatories of the Russian list were entitled - for example, the right to a better apartment - and although in 1941 their works in the Muzeum Sztuki in Łódź were classified by the Nazis as "entartete Kunst", their signing of the Russian list cannot be viewed as a neutral act. In his famous essay The Poor Poles Look at the Ghetto, Jan Błoński noted that the situation of observer of the crimes committed against the Jews has a particular moral ambivalence, linked as it is to a sense of guilt that lays "underneath our consciousness" and at the same time a fear of being counted among the murderers. The type of remembering constructed by Strzemiński in his series is saturated with affects driven by this uncertain position (not of the victim, but rather affective observer). It raises rage, but also guilt and shame. The attention is put both on the past and the present, on the memorialization of the murdered Jews and on memory just being constructed by the living ones. Considering the past, by referring to the artist's own biographical experience – the life next to the Łódź Ghetto, Strzemiński documented particular events in the ghetto such as Wielka Szpera, a turning point in Łódź Ghetto history, present also as one of the most shocking moments in Arie Ben Menachem's and Mendel Grossman's album. Strzemiński uses at least two photographs particularly from the Łódź Ghetto, as if memorializing the tragedy of this particular space and its inhabitants. In a wider perspective, Strzemiński countered the dominate memory discourse of that period in Poland, since the series produced the affective (engaging affects such as friendship, guilt, shame) remembering about the death and suffering of not all victims of war but Jews in particular. At the same time, the Holocaust of the Jews is universalized and shown as a central point where notions of humanity, history, and culture collapse. In other words, "To my Friends the Jews" was a double gesture: of homage to a particular people - the inhabitants of the Łódź Ghetto, and an act of placing the Holocaust in the midst of human history, in the heart of the process of the end of humanity. However, with this series, Strzemiński also reacted to current debates, to the ubiquitous atmosphere, and to the particular historical events. I claim that some of the works from this series can be perceived as an act of protest against the outbreak of brutal violence against Jews that had risen in Poland in the 1940s. As Alina Skibinska points out, after the war the overwhelming majority of Poles remained indifferent towards the Holocaust. The war not only did not erase antisemitism in Poland but to the contrary, it focused the aversion and hostility towards the Jews. The root of this was a guilty conscience about taking over Jewish property connected with crimes, robberies and murders, as well as demolishing the sites of Jewish culture and memory. Besides pogroms in Krakow on August 11, 1945 and the bloodiest pogrom in Kielce on July 4, 1946, Jews were also targets of many actions of intimidation and humiliation. Is this "last drop of fascism" possible to interpret as pogroms and anti-Jewish violence in Poland in the 1940s? Is the red blot, the "sticky spot of crime" from "To my Friends the Jews" a visual metonymy of the scene of a pogrom, referring to this very close frame of hatred, exclusion and anti-Jewish violence? Are those phrases "crime of Cain", "the sticky spot of crime" and "the last drop of fascism" orbiting around the phenomenon named by Jan Tomasz Gross as a "moral collapse" of Polish society? Taking this into consideration I claim that "To my Friends the Jews" is dedicated to the memory of the victims of the Shoah, but also addresses the atmosphere of hatred and acts of violence against Jewish survivors. Naming himself a friend of Jews, Strzemiński performed an act of relationality and empathy, of solidarity and support for those subjected to pain, humiliation and death. To name himself a friend of Jews was also an act of protest against indifference, hate and disavowal in Polish society - its complicity in the Holocaust and post-Holocaust brutal violence against Jews. And I have to admit that it was a very lonely gesture on the side of the Polish artists. In Arie Ben Menachem and Mendel Grossman's single work, as well as in the series by Władysław Strzemiński, I see one such moment of history and contemporaneity where positivity is placed at the heart of negativity, and awaits recognition. In the moment of death there is remembering and testifying, in the moment of trauma and loss there is recognition of friendship, hope and care. Arie Ben Menachem's album could be treated as a gesture of subjective autonomy and powerful disobedience, as the act "of power of the powerless" to retroactively apply Vaclav Havel's famous phrase. This extraordinary work is an example of human agency and resistance through aesthetic practice in the face of the darkest, traumatic events. Strzemiński's series creates memory of the Holocaust, but also of the "nocturnal history" of Poles - pogroms and crimes. "On more than one occasion Czesław Miłosz has spoken in a perplexing way of the duty of Polish poetry to purge the burden of guilt from our native soil which is in his words 'sullied, blood­ stained, desecrated'" wrote Jan Błoński. What interests me is this stain of blood, hence the title of my paper, (Strzemiński’s) "The Sticky Spot of Crime": the Holocaust and its effects on Polish culture and society; war and postwar brutal antisemitism and pogroms in Poland; anti-Jewish violence, harassment, expropriation and pillage. How, when, why and why not were artists reacting to these events, taking into account their subjective positions, identities, physical possibilities? I propose looking for the traces of the Holocaust and of Polish-Jewish relations through art history in Poland (treating time more like a horizontal, irregular net than a vertical line) in the 1940s, '50s, '60s and later, in the works of the artists who both remained in Poland and who emigrated, or who were forced to leave. Those Jewish artists who left Poland were doubly eclipsed by art history; they literally and symbolically "wandered off" the history. I regard both series of collages as possible new starting points for a critical re-thinking of art history. Owing to the recent studies on individual works and artists, we know that there are many more objects from that period raising similar questions. They force art historians to change the contemporary notions of historicity, agency or engagement, tear chronologies and open the present time for the potentiality hidden in the past - attitudes of care, empathy, compassion, openness and solidarity with all close and distant others subjected to suffering and pain. See among others K. Bojarska, Obecność Zagłady w twórczości polskich artystów, www.culture.pl; Władysław Strzemiński and His Artistic Document of the Holocaust, in: T. Majewski, A. Zeidler-Janiszewska, ed., Memory of the Shoah: Cultural Representations and Commemorative Practices, Łódź 2010, pp.138–152; A. Jakubowska, Portret wielokrotny dzieła Aliny Szapocznikow, Poznań 2007; D. Jarecka, B. Piwowarska, Erna Rosenstein. Mogę powtarzać tylko nieświadomie, Warszawa 2014; I. Kowalczyk, Podróż do przeszłości. Interpretacje najnowszej historii w polskiej sztuce krytycznej, Warszawa 2010, I. Kowalczyk, Zwichnięta historia sztuki? - o pominięciach problematyki żydowskiej w badaniach sztuki polskiej po 1945 r. http://opposite.uni.wroc.pl/2010/kowalczyk.htm; P. Piotrowski, Auschwitz versus Auschwitz, in: Sztuka według polityki. Od Melancholii do Pasji, Kraków 2007, pp. 123-138; P. Słodkowski, Reparacyjne strategie przetrwania. Losy i wojenne prace Henryka Strenga/Marka Włodarskiego, "Teksty drugie" nr 5 2014, pp. 64-82; A. Turowski, Budowniczowie świata. Z dziejów radykalnego modernizmu w sztuce polskiej, Kraków 2000. See also texts by Ewa Domańska whose methodological reflection on history is my major inspiration for re-writing art history E. Domańska, Historie niekonwencjonalne, Poznań 2006; E. Domańska, Historia egzystencjalna, Poznań 2013. G. Niziołek, Polski teatr Zagłady, Warszawa 2013. See among others "Zagłada Żydów. Studia i materiały. Pismo Centrum Badań nad Zagładą Żydów", red. B. Engelking, J. Grabowski, J. Leociak, D. Libionka, J. Petelewicz, A. Skibińska, vol. 1-10; B. Engelking, Jest taki piękny słoneczny dzień... Losy Żydów szukających ratunku na wsi polskiej 1942-45, Warszawa 2011; J. Leociak, Doświadczenie graniczne. Studia o dwudziestowiecznych formach reprezentacji, Warszawa 2009; Klucze i kasa. O mieniu żydowskim w Polsce pod okupacją niemiecka i we wczesnych latach powojennych 1939-50, red. J. Grabowski, D. Libionka, Warszawa 2014. E. Janicka, Zamiast negacjonizmu, in: "Zagłada Żydów", vol. 10, 2014, p. 251. Citation from Joanna Tokarska-Bakir after Elżbieta Janicka [my translation]. A. Turowski, Polska ideoza, in: Sztuka polska po 1945 r. Materiały sesji Stowarzyszenia Historyków Sztuki, Warszawa, listopad 1984, Warszawa 1987. L. Nader, Afektywna historia sztuki, "Teksty drugie" n1 2014, pp. 14-40. Współczesność - historia nieznana. Studia z historii sztuki, red. W. Włodarczyk, Warszawa 2013. J. Gross, Sprawcy, ofiary i inni, "Zagłada Żydów. Pismo Centrum Badań nad Zagładą Żydów IFIS PAN", vol. 10, t. II, 2014, pp. 885-888 [my translation]. I express my cordial thanks to Prof. Jacek Leociak for the idea to write about these two artists and their artworks together. A. Pietroń, Fotomontaż jako sposób opisu Zagłady. Analiza albumów fotograficznych z łódzkiego getta, MA thesis, supervisor: dr hab. Jacek Leociak, Instytut Kultury Polskiej Uniwersytetu Warszawskiego, April 2007, p. 54. I express my gratitude to Agata Pietroń for a possibility of reading her thesis. Ibidem, p. 42, footnote 105. More on the complex history of the album see A. Pietroń, Fotomontaż jako sposób opisu Zagłady, op.cit. and catalogue Getto. Terra incognita. The struggling art of Arie Ben Menachem and Mendel Grosman, ed. X. Modrzejewska- Mrozowska, A. Różycki, M. Szukalak, Łódź 2009, unpaginated. I repeat this information after a short biogram of Arie Ben-Menachem in Getto. Terra incognita. The struggling art of Arie Ben Menachem and Mendel Grosman, op.cit., unpaginated. All information in this paragraph on Arie Ben Menachem and Mendel Grossman after Agata Pietroń, op.cit, and the catalogue Getto. Terra incognita. The struggling art of Arie Ben Menachem and Mendel Grosman, op.cit. Getto - terra incognita - sztuka walcząca Ariego Ben Menachema i Mendla Grosmana, op.cit., unpaginated. V. Crapanzano, Reflections on hope as a category of social and psychological analysis, „Cultural anthropology” vol. 18 no. 1, p. 9. For more detailed information on the photographs used by Strzemiński in the series see L. Nader, Wina i wstyd. Moim Przyjaciołom Żydom Władysława Strzemińskiego and E. Levinger, Ruinami zburzonych oczodołów. Fotografia i historia. in: Władysław Strzemiński. Czytelność obrazów. Materiały z międzynarodowej konferencji poświęconej twórczości Władysława Strzemińskiego. Muzeum Sztuki w Łodzi 13014 października 2011 r., ed. P. Polit, J. Suchan, Łódź 2012, pp. 110-128, 82-97. The important place of Jewish artists in the artistic milieu of pre-war Łódź; their close links with Strzemiński see A. Saciuk-Gąsowska, Uczniowie Strzemińskiego. Przyjaciele Żydzi, in: Adlojada, Biografia i świadectwo, ed. J. Brejdak, D. Kacprzak, J. Madeyski, B. M. Wolska, Szczecin 2014, pp. 113-126. J. Błoński, The Poor Poles Look at the Ghetto, [in:] Antony Polonsky, ed., "My Brother's Keeper? ": Recent Polish Debates on the Holocaust, London 1990, pp. 34-52. I develop the subject of memory and Strzemiński's "To my friends the Jews" in my essay Strzemiński's Wunderblock. 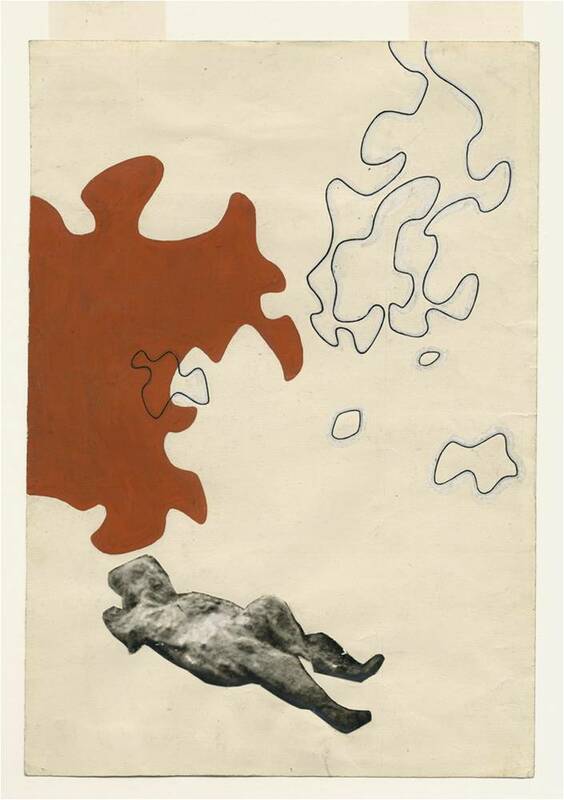 In Memory of Friends - Jews, http://www.riha-journal.org/articles/2014/2014-oct-dec/special-issue-contemporary-art-and-memory-part-1/nader-strzeminski-en. A. Skibińska, Powroty ocalałych i stosunek do nich społeczeństwa polskiego, in: Następstwa Zagłady Żydów. Polska 1944-2000, Lublin 2011, pp. 41. W. Strzemiński, Novel (a fragment), ed. Z. Karnicka, in: Powidoki życia. Władysław Strzemiński i prawa dla sztuki, ed. J. Lubiak, Łódź 2012, p. 446. There is a controversy regarding this fragment in the unclear manuscript - its last sentence and the word "kropla" (eng. drop) or "kropka" (eng. full stop). The editor of the novel Zenobia Karnicka reads the last words of the manuscript as "Ostatnia kropka faszyzmu" which is translated as "The last full stop of fascism". I read the same fragment of the manuscript (after Nika Strzemińska) as "Ostatnia kropla faszyzmu" translating it as "the last drop of fascism". The phrase "do ostatniej kropli" (to the last drop) or "do ostatniej kropli krwi" (to the last drop of blood) exist in Polish, while such phrase as "the last full stop" does not have place. In the quoted fragment I propose my version of reading the manuscript. 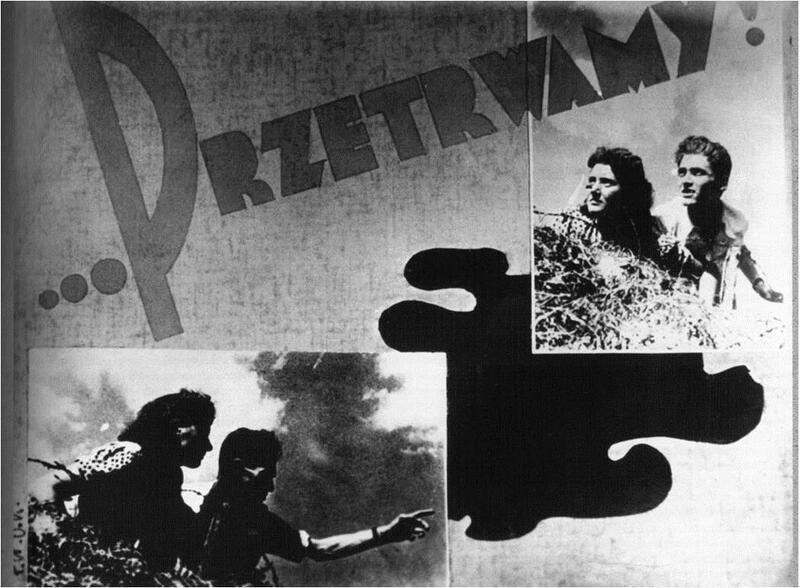 For more detailed study on Strzemiński's series "To my Friends the Jews" intepreted as a protest against atmosphere of pogroms in Poland of the 40.s. See L. Nader, Kim jest Kain? Moim przyjaciołom Żydom Władysława Strzemińskiego jako protest wobec pogromowej atmosfery w powojennej Polsce , "Teksty drugie", nr 5 2014, pp. 83-103. J.T. Gross, Strach. Antysemityzm w Polsce tuż po wojnie. Historia moralnej zapaści, Kraków 2008.